Red China is consistently following an Expansionist Policy that involves the practice of forming and maintaining an Empire by the conquest of territory of its weak neighbors. 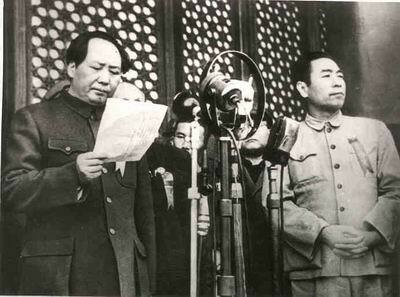 Tibet is the first victim of Red China’s Imperial Power. In recent times, the news media are paying attention to Red China’s military activities in South China Sea and are trying to comprehend its implications. To resolve the problems of Red China’s Maritime Expansionism, the problems caused by Red China’s Territorial Expansionism have to be cured. These are symptoms of the same disease or affliction; these are the Two-Sides of the Same Coin; these are the attributes of Red China’s Evil Power. On Friday, May 22, 2015, Red China has proclaimed its Victory over the US Navy operation which involved the US P-8 Poseidon Surveillance Plane that flew near Fiery Cross Reef in South China Sea. Red China has asserted that it drove away the US Navy plane from its airspace. In my view, the Battle to checkmate Red China’s Imperial Power has to begin in Tibet, for Tibet is the first victim of Red China’s Imperialism. © The Washington Post The U.S. Navy released this video showing flight operations aboard a P-8A Poseidon over the South China Sea on May 20, 2015. During the flight, the crew documented several warnings issued by China’s navy to leave the area. U.S. Navy BEIJING — The Chinese navy repeatedly warned a U.S. surveillance plane to leave airspace around disputed islands in the South China Sea, a sign that Beijing may seek to create a military exclusion zone in a move that could heighten regional tensions. 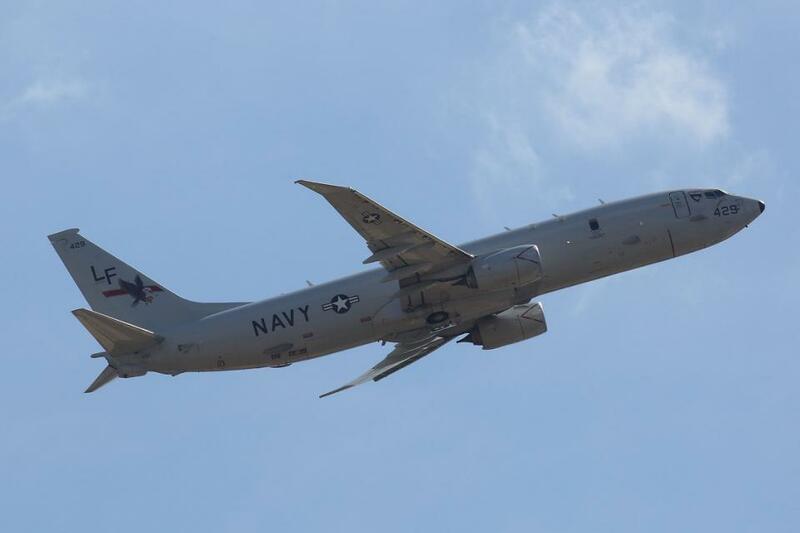 The warnings, delivered eight times to a P-8A Poseidon over the Spratly Islands on Wednesday, were reported by a CNN team aboard the plane. © REUTERS/Ritchie B. Tongo/Pool An aerial photo taken though a glass window of a Philippine military plane shows the alleged on-going land reclamation by China on mischief reef in the Spratly Islands in the South China Sea, west of Palawan, Philippines, May 11, 2015. 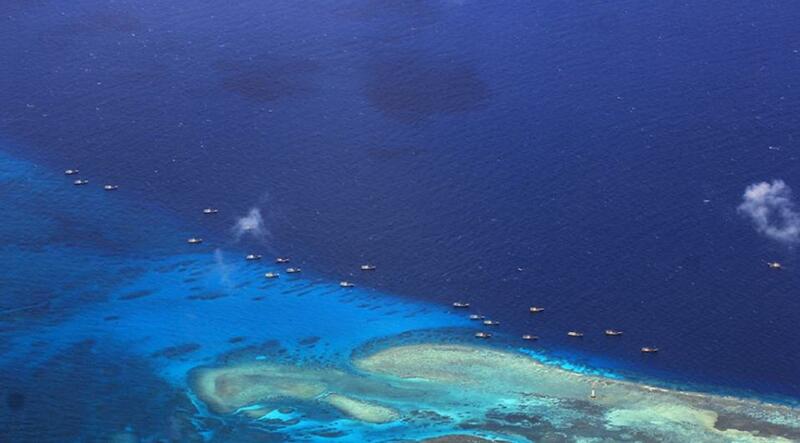 On Thursday, a spokesman for China’s Foreign Ministry, Hong Lei, said Beijing “has the right to monitor certain airspace and maritime areas and safeguard national security, to prevent unexpected incidents at sea.” He added that other countries should respect China’s sovereignty. The Philippines says similar warnings have been delivered to its military aircraft in the past three months, suggesting that China is trying to exclude foreign military planes from the area. Capt. Mike Parker, on board the aircraft, said he thinks that at least one of the verbal challenges came from the radar station. “Although China glosses over the military purpose of those artificial islands, they are likely primarily intended to change the power balance in the South China Sea vis-a-vis the U.S. Navy, which for now is the dominant force in the area,” said Yanmei Xie, senior China analyst at the International Crisis Group. China could use the completed installations to “scramble fighter jets to intercept, tail and attempt to evict incoming military aircraft,” Xie noted. “That scenario would turn the South China Sea into a theater of frequent near-misses and even clashes,” she said. Deputy Secretary of State Antony J. Blinken said at a conference in Jakarta on Wednesday that China’s actions were eroding regional trust and could provoke conflict. “Its behavior threatens to set a new precedent whereby larger countries are free to intimidate smaller ones, and that provokes tensions, instability and can even lead to conflict,” he said, according to the Reuters news agency. But in a sign that the U.S. and Chinese militaries have taken measures to improve communication and avoid clashes, a U.S. combat ship used agreed codes for unplanned encounters when it met a Chinese vessel during a recent patrol of the South China Sea. 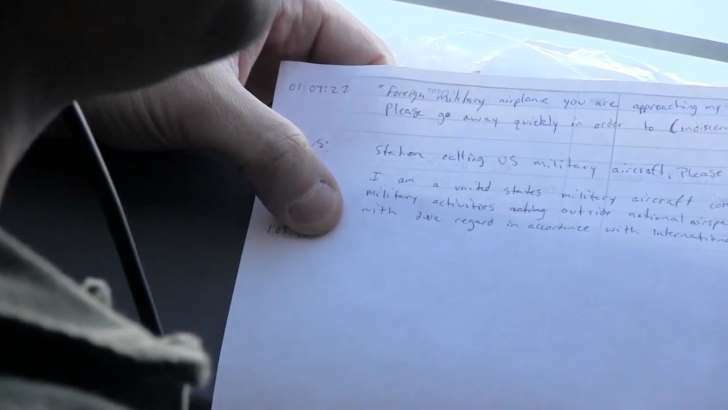 “We exchanged messages, and it was very professional,” Cmdr. Matthew Kawas, the commanding officer of the USS Fort Worth, told visiting journalists in Singapore on Wednesday. He declined to comment further on the communications with the Chinese vessel, other than to point out that it is useful for both navies to become accustomed to each other’s practices. Earlier, Adm. Michelle Howard told reporters in Singapore that the two navies had agreed to use codes specifically designed to manage unplanned encounters at sea. “Fort Worth came across one of our counterparts and they did do that, so things went as professionally as they have since that agreement was made,” she said, according to Bloomberg News.